President Donald Trump gave the go-ahead for a new safety watchdog that would allow Maryland, Virginia and D.C. to resume responsibility for oversight of Metro. 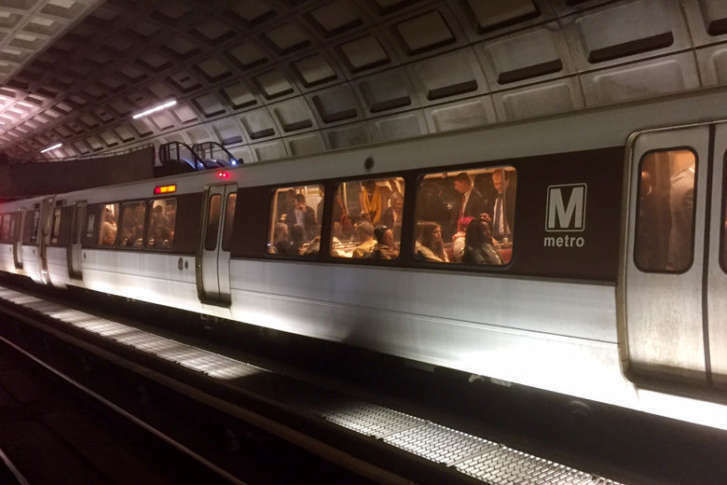 The Federal Transit Administration assumed control over safety oversight after a series of critical lapses, including an incident in 2015 where a train filled with smoke, killing an Alexandria woman and hospitalizing 80 others. WASHINGTON — President Donald Trump signed legislation Tuesday giving the go-ahead for a new safety watchdog that would allow Maryland, Virginia and D.C. to take back primary responsibility for safety oversight of Metro. Trump’s signature is the final legislative step in creating the Metro Safety Commission, although staffers still need to be formally hired. The Federal Transit Administration has been overseeing safety on the rail system since late 2015 following a series of critical lapses. In January 2015, an Alexandria, Virginia, woman died and more than 80 people were taken to the hospital after they were trapped in a smoke-filled train stopped near one of the system’s underground stations. But the federal government’s move to assume safety oversight was designed as a temporary measure. To provide a longer-term solution, the FTA required that Virginia, Maryland and D.C. establish an effective safety monitor. Lawmakers in those jurisdictions approved legislation to create the new safety commission. Maryland and Virginia lawmakers acted after federal officials announced they would withhold millions of dollars in transportation funding until the states acted to create the new commission. The legislation passed through Congress earlier this month. However, the FTA will continue to oversee safety for the time being until it determines that the new commission is properly assembled and capable of meeting its responsibilities. Lawmakers from both parties spoke in favor of the legislation when the House approved it in July. Rep. Jamie Raskin, D-Md., said the bill responds to the safety needs of the system. At the same time, he said, it’s essential to invest in the transit service to ensure greater reliability and efficiency. “If we didn’t have the Metro system, what is already one of the most traffic-plagued and congested regions in the country would be absolutely paralyzed,” Raskin said. Metrorail provides transit service for more than 600,000 customers a day and is the second busiest transit system in the nation, serving 91 stations in Virginia, Maryland and the District. It is the only transit system in the nation without a dedicated source of funding.